In the third episode of the 1991 Land of the Lost remake, the intrepid Porters go out scouting with Tasha, in hopes of finding a cave that will lead back home. 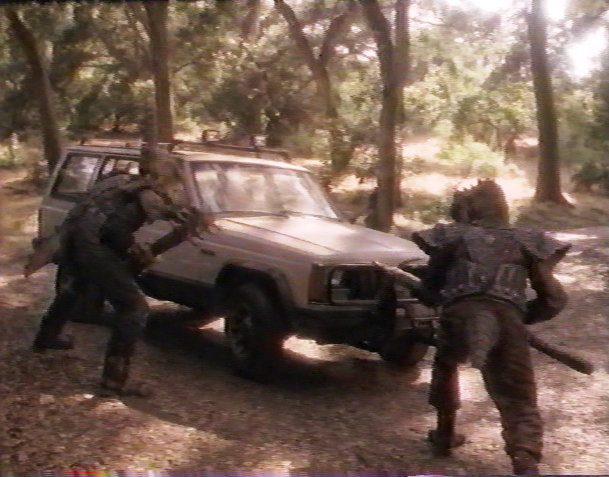 Instead, they discover three renegade creatures called Sleestak, led by a tyrant named Shung. So this is “Shung the Terrible.” Well, terrible is the right word at least. The original Land of the Lost (1974 – 1977) is known for, among other things, the fact that the hissing, silent, dark-eyed Sleestak scared a generation of kids silly. 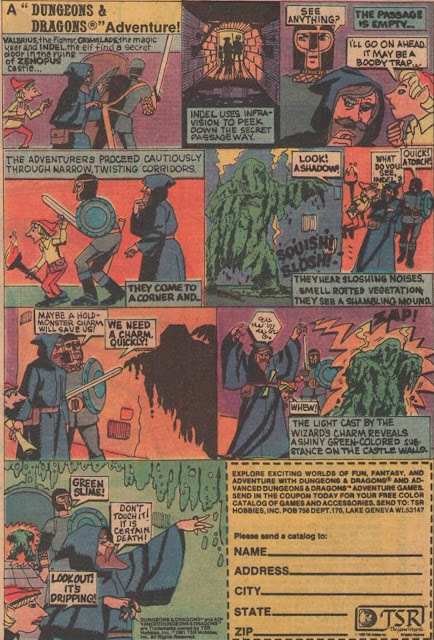 There are many episodes of the original series in which these seven-foot tall warriors stand dormant, in hibernation, and then suddenly burst to malevolent life, pursuing the Marshalls through dark caves. Even watching the series as an adult, those scenes carry a primal sense of terror. It’s a bit of a miracle that such scary, well-designed monsters made it onto a Saturday morning TV program in 1974 in the first place. 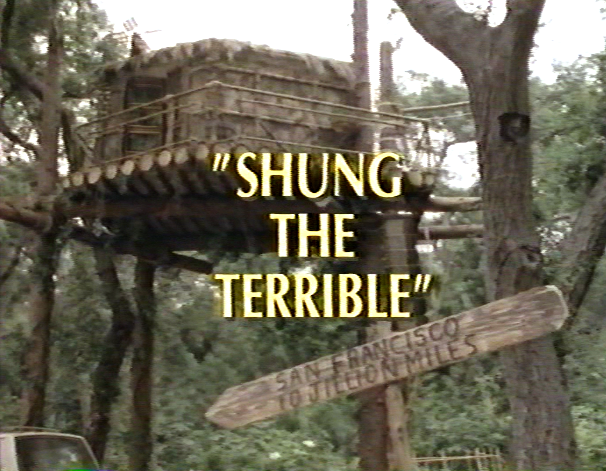 “Shung the Terrible” introduces the new Sleestak race and, well, there is no way to say this nicely: These creatures are a complete bust in terms of design and execution. Resembling giant horned toads with bulging eyes -- and wearing Samurai outfits to boot -- these creatures don’t inspire fear or dread in any sense. In the first case, they talk in cartoonish voices, and their lips don’t move in synch with their dialogue. And in the second place, these three Sleestak are presented as comic bumblers…as hapless, scheming buffoons. 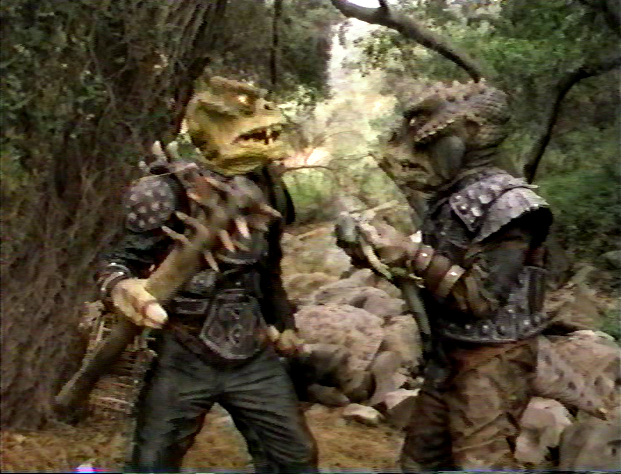 They are renegade and criminal Sleestak, but they are also dump as stumps. These Sleestak share almost nothing in common with their television ancestors. As villains, they are absolutely ineffective, and so much of this episode simply doesn’t work at all. 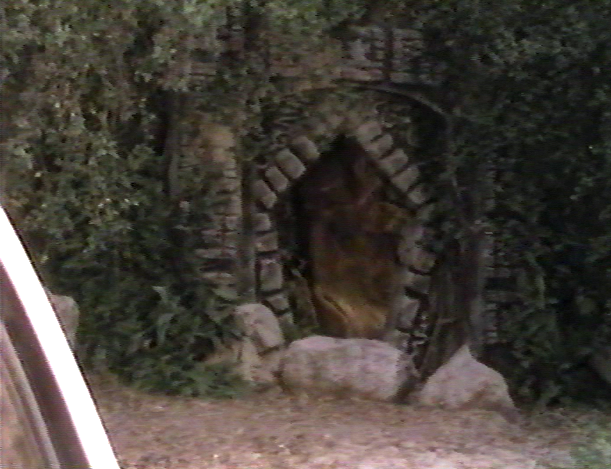 In fact, this is the least successful episode of the series thus far because the Sleestak are so ineptly fashioned. They don’t really pose a life and death threat to the Porters. They’re more a nuisance, not unlike the Ferengi on Star Trek: The Next Generation. I must wonder why the Sleestak costumes for fifteen years earlier look more effective today, and why the producers in the 1970s knew enough to keep the Sleestak talking to a minimum (save for Enik or the Library of Skulls). Yet the producers of this series don’t learn from that example. Without their tell-tale hiss, without their aversion to daylight (which kept the creatures in the dark), and without their sleek look, the Sleestak are robbed of all their most imposing and memorable traits. And to individualize them as Three Stooge-type characters, as this episode does, is the nail in the coffin. 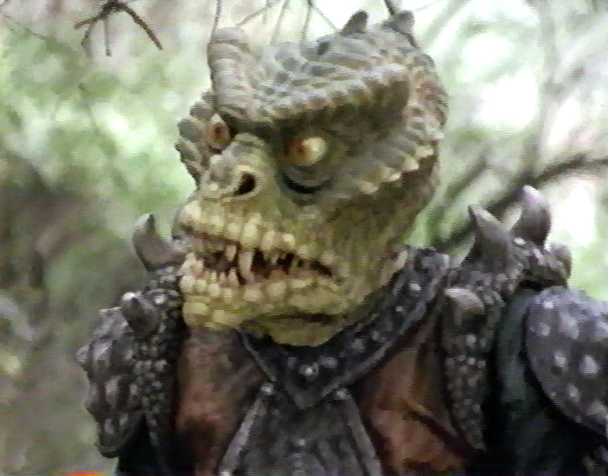 I remember thinking, back in 1991, when I watched these episodes casually (and not with any kind of consistency) that the new Sleestak design was a creative failure, and inferior to what had already been created. I feel that even more strongly now. John I must agree with you that the new Sleestak design and clown-like behavior was a total failure. 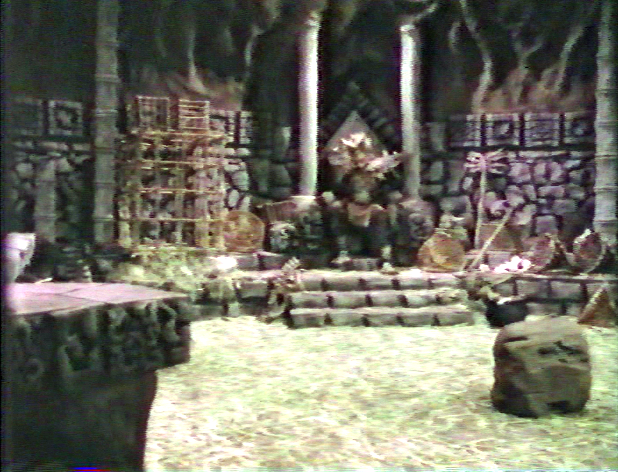 This new 1991-1993 Land Of The Lost was unfortunately not a sequel to the original 1974-1977 series. This series was attempting to attract even younger children and ignoring the older children that would see the new Sleestak as cartoon parodies of the original. The 1974 Sleestak were and still are threatening, as you stated, because even in the 2009 Land Of The Lost Will Ferrell film they used the scary 1974 Sleestak design and sound.